As with any tool that is extremely popular, there are a lot of different models on the market. So many in fact, that the choice can seem overwhelming. We have trawled through the different options for you to bring you five of the best models on the market. We’ll also talk about the different features you need to keep an eye out for when making your selection. How Do You Use a Wood Router? How Do You Cut a Circle in Wood With a Router? How Does a Router Work Wood? This model from Bosch is one of two palm-sized tools on this list. It brings an impressive list of features to the table along with the Bosch name, which is synonymous with superior quality power tools. This is an ideal tool for smaller, more intricate work. It has a variable speed function that really gives it a high degree of control, and a 1-horsepower motor is fine for small projects. The aluminum fixed base has a unique design incorporating a pair of indents where you can place your fingers. Again, this really helps with intricate work as you can easily use both hands to control the tool. It’s also nice and small which makes it easy to hold and manipulate into tight cutting patterns. If you’re looking for a router specifically designed for smaller projects, this model is ideal. It’s very well designed for intricate work and the aluminum guard has finger indents making careful, small movements that much easier and accurate. With just a single horsepower under the hood, it does feel somewhat underpowered. This may not be the ideal router for larger projects as the motor is probably going to start feeling the strain of holding up for the prolonged period of operation required for longer projects. This model from Makita is the second palm-sized tool to make our list. Like the one from Bosch, it is very much engineered for control and precision. 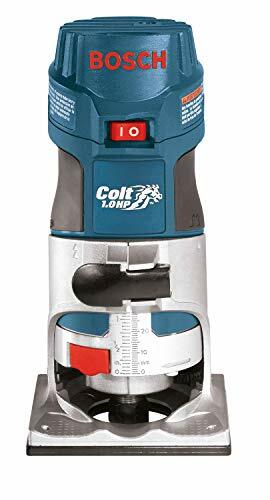 Like the Bosch model, you are getting a relatively small motor again, though this is slightly more powerful at 1¼ horsepower (so an extra leg’s worth of horse!) You also get variable speed control, similar to the Bosch product. In addition, you get a number of excellent features that you might expect from a larger, pricier model, such as rack and pinion depth adjustment. While the device itself is a fixed-base model, it does come with an externally mounted plunge base. This is a fine router to use. The ergonomic design makes it a pleasure to hold and very easy to manipulate while cutting. The depth adjustment provided by the rack-and-pinion is a pretty innovative design and works well, allowing precise on-the-fly depth adjustments. Just like the Bosch, it really makes precise work nice and easy. That external plunge base is a real love-it-or-hate-it accessory. On the one hand, it is great to have for freehand cutting to the center of the wood. However, it is not possible to mount onto a router table, making it impossible to perform precision plunge cuts using that piece of kit. As with the Bosch, its small size and motor mean it may struggle with large-scale projects. 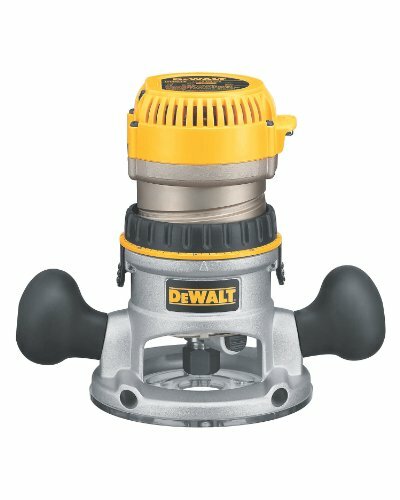 DeWalt is one of the most respected manufacturers of power tools, and that reputation is brought to bear here with their mid-size router. Packing a 2.25-horsepower motor, it can take on any job and also has an impressive array of features. This router is all about the motor. It has 2.25 horsepower, which is a respectable amount of power for a mid-size model. Add in both variable speed and dynamic feedback control that delivers constant speed under any RPM and you have a device you can trust to cut smoothly against any surface or design required. The depth adjustment ring provides for easy and accurate micro-adjustments to depth, though the spindle lock for changing out bits is not well designed. For a mid-range price, this is a decent tool. It is surprisingly powerful, with the feedback system working hard to draw every ounce of power out of the motor. The base plate is clear plastic, which is very useful when cutting as you can see exactly where the bit is and what it’s doing. It’s comfortable to hold and the adjustment ring works really well. The main drawback is the spindle lock used for changing the bit. On many other models, this will be a simple locking device that allows you to use both hands to manipulate and remove the bit. Here, it is a spring-loaded button that you have to manually hold down, leaving only one hand free to work at changing the bit. This may sound like a small thing and in general it is, but it could become annoying over time, especially on projects with multiple bit changes. Porter-Cable has built up a good reputation over the years. This model has a more basic design and a lower price point than nearly all other mid-size models out there right now. But is there more to this tool than the bargain price? The fact that it only has a single speed is disappointing. However, it is able to produce 27,500 RPM that gives a relatively powerful cutting edge. It has a simple cam-lock for quick depth changes and is overall very easy to use. It is a nice, solidly built machine utilizing a tough aluminum construction. It doesn’t have any of the bells and whistles of the other models on this list but, in one sense, that is actually quite refreshing. It is certainly very straightforward to use. If you like a more old-school style of a tool, then you’ll probably get on well with this one. To achieve that bargain price, P-C has really had to cut back on a number of features. The biggest cutback is on engine size: 1.75 horsepower is really underpowered for a mid-size router. The fact that it lacks variable speed control is also a real let down. It’s a decent enough machine, and the price is very low, but it is also extremely basic. We go from a basic model straight to the most premium, high-end model on this list. The Triton Plunge Router brings a wealth of useful features in a very well-designed package, all backed up by a powerful motor with variable speed. We need a deep breath before we list the features because this tool pretty much has them all. It has a fantastically designed base that switches from Fixed to Plunge with the switch of a single button. It has a 3.25-morsepower motor, the strongest on the list, with variable speed control and dynamic feedback to maintain an even RPM. It has an automatic spindle lock for easy bit changes and a micro winder that allows for easy and precise depth changes. It even has specially placed air vents to minimize dust intake into the engine. If it could cook steak, we’d marry it. Well… everything! It’s like Triton has looked at the faults of all the other products on the market and set about rectifying them. For example, other models make you choose between a fixed or a plunge base. So here, they simply give you both. Worried the motor may be underpowered in cheaper models? Stick a 3.25-horsepower one under the bonnet and give it variable speed controls as a bonus. Is it fiddly to change the bits on other models? Make the spindle lock automatic and make the process easy. Found a pot of gold recently? Inherited some money from your Crazy Aunt Edith? No? You may be in trouble. Jokes aside, this is not a cheap tool. In fact, you really need to be sure that you’re going to get the most out it before you drop this kind of money. It’s also pretty big, weighing in at a shade under 20 pounds. That could make it harder to manipulate with complete accuracy in handheld mode, but you’ll have biceps like iron after using it for a few hours! When it comes to selecting the right wood router for you, there are a few key features to bear in mind when making your selection, such as those detailed below. Very simply, if the router you select has a speed adjustment option, sometimes called variable-speed or multi-speed, then it will have the ability to adjust the speed at which the bit spins during operation. Typically, you’ll see this on the pricier routers, as many of the budget models will eschew this option to keep the overall unit cost down. Adjustable speed can be quite helpful in numerous ways. For example, some bit sizes should be rotated faster or slower than others. Different types of wood will respond differently to speed too, with a high speed causing friction that can singe or burn some wood and a slow speed struggling to cut denser material. If you can afford the extra outlay, adjustable speed can lead to a superior finish overall. Palm: These are compact-sized models that lack the handles that come with larger-capacity models, hence the “palm” name since they literally fit in the palm of the hand. Equipped with an engine capacity of around one horsepower, they are still relatively powerful for their size. They will certainly tackle most routing jobs but are best reserved for the more intricate work. Mid-Size: By far the most popular overall, these models combine the best features of the palm and full-size routers. On the one hand, an engine capacity of around 2 horsepower provides plenty of power to tackle nearly any job. At the same time, they are small enough to easily manipulate the tool to perform more intricate work. It’s no surprise they are so popular! Full-Size: Typically packing a 3-horsepower engine, a full-size router definitely has the power to tackle any size job you can throw at it. That powerful engine, however, is both bulky and heavy, making the full-size router ill-suited for intricate, handheld work. Fixed: The original and standard base, you will find that most routers, especially cheaper models, come with a fixed base. Typically equipped with a ring-style depth adjustment tool, this is a solid design that won’t let you down in operation. Because the router bit is essentially locked during operation, if the router is attached to a table it will only be able to work on the edges of the wood. It does, therefore, lack some of the high-end performance features you will find with the other base style. Plunge: This is a more expensive setup simply as there are more parts and therefore more engineering required to build a plunge-style base compared to the simpler fixed base. The benefit here, however, is that it is a far more versatile tool. In handheld mode, it does everything that the fixed base does. The tool moves up and down on the base via a spring-loaded mechanism rather than a fixed ring. This means that you can make small adjustments to cutting depth on the fly and can also use this kind of base on any part of the wood while it is locked into a table because you can “plunge” the cutting bit into the center of the wood. ¼ Inch: You will typically find this size on the smallest, palm-sized routers. Naturally, as a smaller size, the router bits that can be attached are also going to be that little bit smaller. That makes them perfect for smaller scale intricate work but can also mean that large-scale jobs take more time. You may also struggle to get a really deep cut with the smaller bit size. ½ Inch: This is more likely to be found on mid-size and full-size routers and is arguably a more useful size overall. Firstly, the bits are a little larger, helping to make light work of larger projects. More usefully, many routers also come with adaptors to allow a ½ inch collet to accept ¼ inch bits, allowing them to be the best of both worlds. The final consideration is in the horsepower of the router motor. We briefly touched on this factor above. However, to clarify there are, broadly speaking, 3 levels of motor capacity. 1 Horsepower: Or sometimes even less. Found mounted within the smallest, palm-style routers. Perfect for intricate work on small-scale projects. 1.75 to 2.25 Horsepower: Around 2 horsepower is the average but the middle range of motor capacity can vary from 1.75 to 2.25. Found in mid-size routers, they are a great, all-purpose motor size suitable for the widest range of projects. 3 to 3.5 Horsepower: The big boys! These large and powerful motors are only found in full-size routers. Whilst extremely powerful, their large size and considerable weight make them less portable than smaller models and less suited for very intricate work. A router is a pretty interesting tool actually. While it’s easy to learn its basic operation, it’s far tougher to master it for truly superior results! As with all things, only practice makes perfect, however to even move onto the practice stage you need a firm grasp of the basics of the tool. For a thorough grounding in wood routers, no one is better than the infectiously enthusiastic Steve Ramsey, proprietor of the fantastic Woodworking for Mere Mortals channel. Here is his highly recommended guide to routers. One of the big benefits that a router brings to woodworking projects is its ability to cut to curves. You can take this ability to its logical conclusion and also use a router to cut out a perfect circle. It’s relatively simple to do, and if you have a very steady hand you can mark out the circle, cut a shallow marker line and use a bit with a ball bearing tip to follow the line. For more accurate results you can use a circular jig. They are available to purchase online or from any good hardware store. You can also save some cash and make your own jig by following this excellent guide. At its most basic, a router works by spinning a metal bit that cuts into wood to achieve the desired finish. Pretty simple, right? Well, as with most things, it’s a little more complicated than that. However, it’s those little metal bits that really make the difference. They come in an incredible range of sizes, angles and even materials and finishes, all of which have a different outcome on the wood. Some bits are gently angled to allow you to cut gentle edges to wood to give an attractive finish to a piece of worked wood like a shelf or drawer. Different shaped bits can cut ridges and dados, which are crucial elements in seamless construction when building objects from wood. Other bits cut rabbets, one of the most useful joins in woodworking. They can even be used to cut Dovetail joins, another popular and very attractive joining method, and can cut shallow inlays that you can fill with veneer strips or other decorative finishes. The router does all this via its diverse selection of bits, so it really pays to have as diverse a selection as possible. Here is a great guide from Popular Mechanics to get you started. 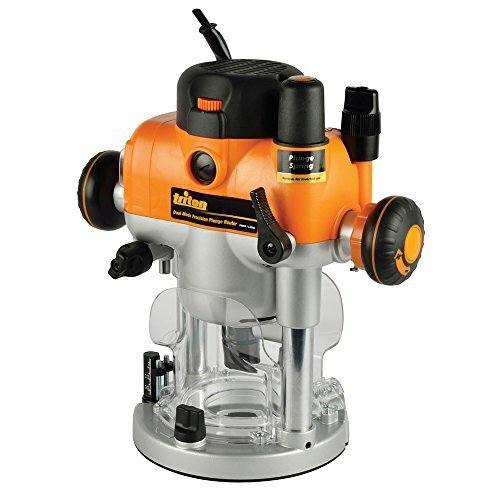 What does a wood router do? Well, what doesn’t it do! The router is designed primarily to cut wood, though that description doesn’t really do it justice. Unlike say, a drill or a saw, a wood router is very versatile. As we discussed above with the various bits, the attachment you use will affect the outcome. So, on the one hand, it can be used in purely decorative ways. This can be to round off the edges on wood such as you may see on a desk or chest of drawers. It can create shallow inlay cuts such as you may see around the borders of furniture or carved into intricate photo frames for example. Or it can be used in the background of woodworking projects, providing vital but unseen joins and joints in various sizes and used to connect pieces of wood during construction of an item. It really has multiple uses across a wide range of applications. No wonder the wood router is routinely held up as one of the most important power tools in all of woodworking. 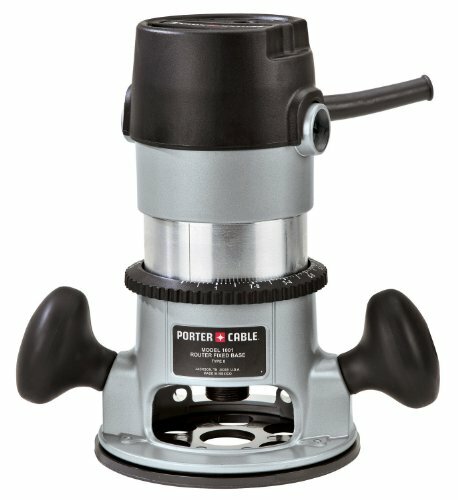 A wood router is essentially a motor that spins a bit. Of course, as we saw above there is more to it than that. The power of the motor, the size of the bit attachment, the type of base it is mounted on and even such simple things as whether the model has handles attached all have a bearing on its operation and suitability for a range of tasks. Therefore, it is extremely important to weigh up the pro & cons of the various features that different models have when deciding which model is the best for you. It’s hard to look past the Triton Plunge Router when selecting the best on this list. It simply brings too much to the table, is too well designed and is too good to use to really say that any other tool can beat it. Like we said though, just be sure you’re going to get the most out of it before dropping a fist full of bills on it. For smaller scale jobs the Bosch Colt Palm Grip Router is the best palm-sized router. It’s lovely and accurate, has the usual high standards of construction you’d expect from Bosch and it won’t empty your bank account.